Cleveland Crane Hire commenced operations in January 2007 and has proudly been supplying and servicing clients with a modern fleet of mobile cranes. A family owned and operated business servicing the Redlands & Bay Islands and surrounding areas. With a fleet of mobile cranes, including Franna Cranes & Rough Terrain Cranes, we provide professional, friendly and reliable service. In May 2012, Mann’s Logan Crane Hire purchased the business of Cleveland Crane Hire and now under the Group banner we have a vast range of the latest model cranes and trucks with the ability to meet all of your lift and shift requirements with specialized equipment enabling heavy equipment lifts, factory moves, erection of industrial and commercial structures, mining and bridge projects and general taxi crane hire throughout South East Queensland. 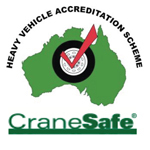 We have quality systems in place to meet AS/NZS ISO 9001:2008 through Truck Safe, NHVAS and Crane Safe Accreditation. 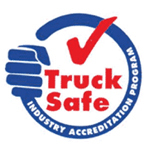 Our plant and equipment fully comply with current workplace health and safety standards. 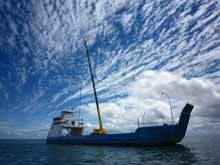 Providing outstanding and reliable service. Developing a loyal base of satisfied customers. Maintaining our fleet to the highest standards. Building a team with a ‘can-do’ attitude. please call (07) 3274 5546 or see our Contact page.